This stunning beauty has immense, fragrant creamy-white flowers with blood-red centers and yellow-edged, green nectary furrows. 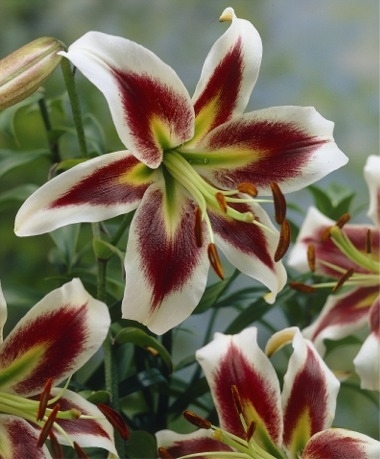 Orienpet Lilies combine the stature of the Chinese Trumpet Lily with the exotic beauty of the Oriental Hybrid Lily. Their huge, waxy flowers have slightly recurved petals, elongated anther-tipped stamens, and a subtle, fruity fragrance. Lily Class: Orienpet. 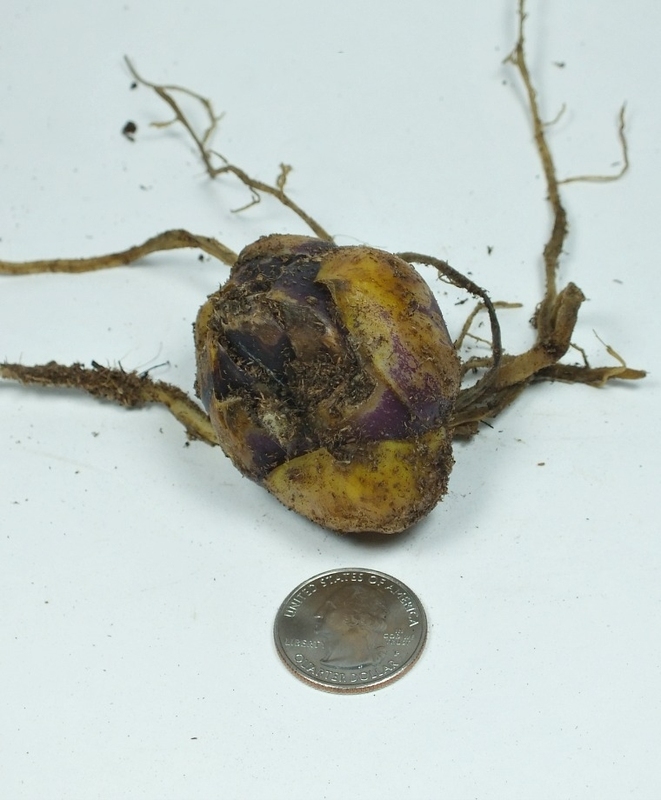 Bulb size: 14/16 cm. July/August. HZ: 4-8. 4' to 6'.